I have made my share of roasted beet salads and, over the years, possibly eaten my weight in carrots. I have mashed, roasted and sauteed sweet and not-so-sweet potatoes and I have roasted, stewed and pureed plenty of parsnips. But one thing I had never done–until now–was make a beverage with root vegetables. No, this is not a typo, I do mean beverage. If you are not yet into kombucha, kefir or other fermented beverages, consider this an informal introduction. It’s been well over a month since I have been sipping on beet kvass and I have never felt better. Really. I was turned on to this fermented concoction at the farmers market. In Eastern European culture, this bright red and colorful drink is a well-known blood cleanser and alkalizer, liver tonic and energy booster. David and I both got on it and we’re hooked. While it looks like sangria, I am sorry to report that it doesn’t taste like sangria. It’s a tad bit salty with the slightly sweet yet earthy flavor of beet juice diluted with water. If you like sauerkraut, you may find this beverage completely acceptable. Or not. With each passing day, as you drink more of it (and feel better), you will find it almost pleasant. 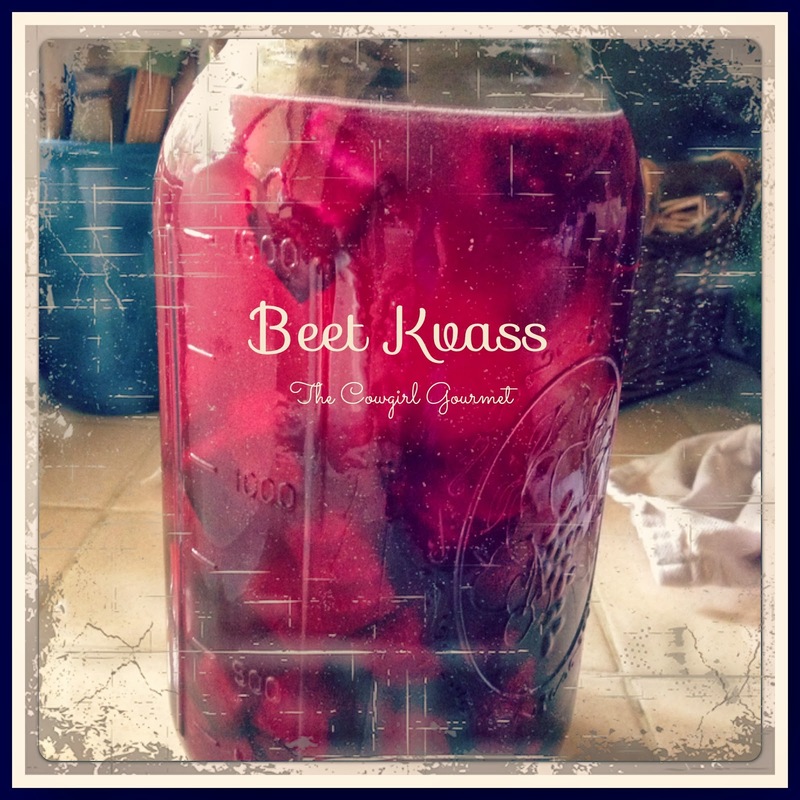 When researching the benefits of beet kvass, I quickly learned how easy it is to make. This raw, fermented beverage does the work for you. All you need to do is chop some beets, stir and have patience. In just two days, you’ll be sipping away at some of your health ailments. Think of it as an elixir. Beet kvass may not be the most delicious beverage I have ever imbibed, but the results are such that it really doesn’t matter what it tastes like. If you are serious about feeling better, getting healthy and having more energy, this may be just what you have been looking for. All you need is a half-gallon glass jar, beets, whey, salt and distilled water. If you do not have a local source for whey, you can buy organic whole milk and make ricotta cheese. Then you'll have plenty of whey. The whey will keep in the fridge for quite a while, so you can continue to make plenty of beet kvass. Place the chopped beets in the half-gallon mason jar and sprinkle with salt. Let sit for 15 minutes. Then add the whey and fill the jar half way with water, cover with the lid and shake well. This will help to dissolve the salt completely. Then fill with water so that it comes up about 1 inch from the top of the jar. Replace the lid and let sit at room temperature for two days. A few times a day, shake the jar well. After two days, use a colander to strain the liquid into a big bowl and reserve the beets. Place the beets back in the jar and add 1 cup of the juice to make another batch and repeat the steps above. With the remaining beet kvass juice, use a funnel to pour into prepared jars. Refrigerate and sip daily. I drink about 1/4-1/2 cup in the morning (a few good glugs) and a few more good glugs (1/4-1/2 cup) at night. After the second brew, you can discard the beets and start with fresh beets. Just remember to reserve 1 cup of the beet kvass to use as a "starter" for the next batch. This can be used in place of the whey, but if you have whey, use it as there are incredible healing properties in whey, if you able to tolerate dairy products. For the second batch, reserve 1 cup of beet kvass to use as a starter.